Identity and Access Management (IAM) has moved from a productivity and operational program to a strategic imperative. Organizations that have implemented IAM in phases, over several years and on a project by project basis are now facing misalignment of goals and operational inefficiencies. 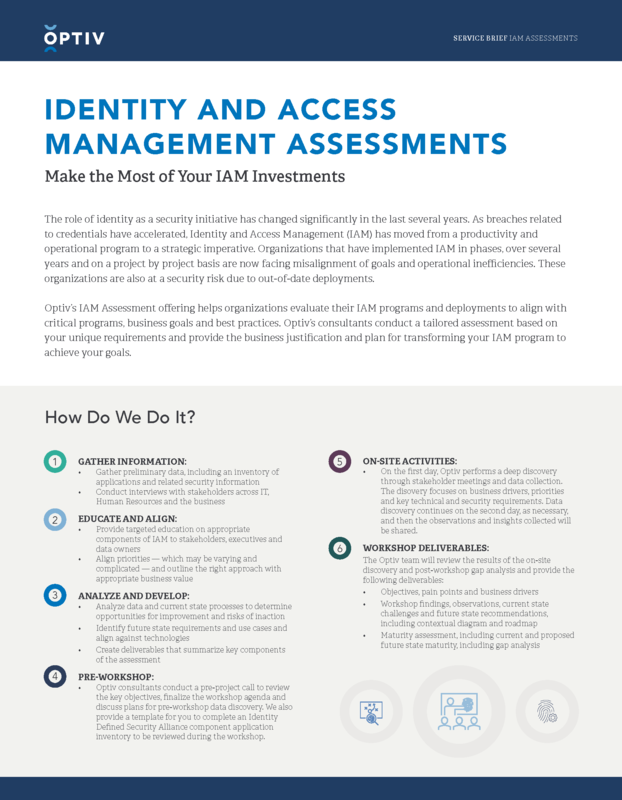 Optiv’s IAM Assessment offering helps organizations evaluate their IAM programs and deployments to align with critical programs, business goals and best practices.